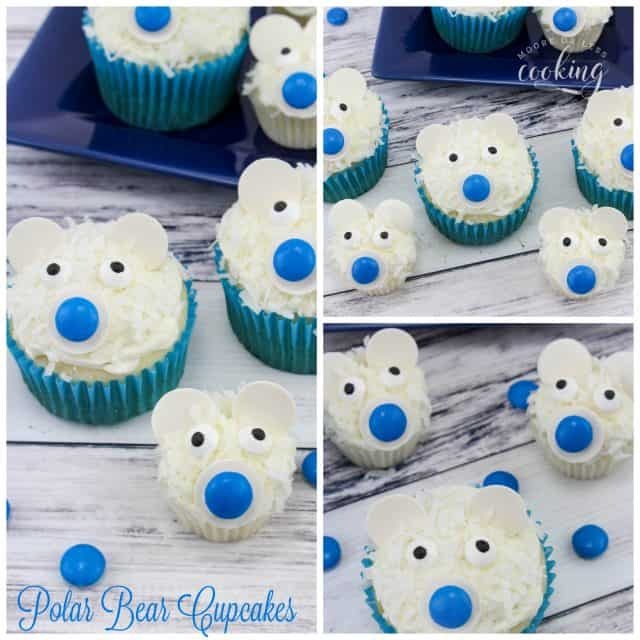 These Polar Bear Cupcakes are great for a fun winter treat or to take to a party! 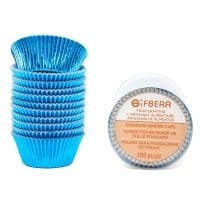 Do you love cupcakes? 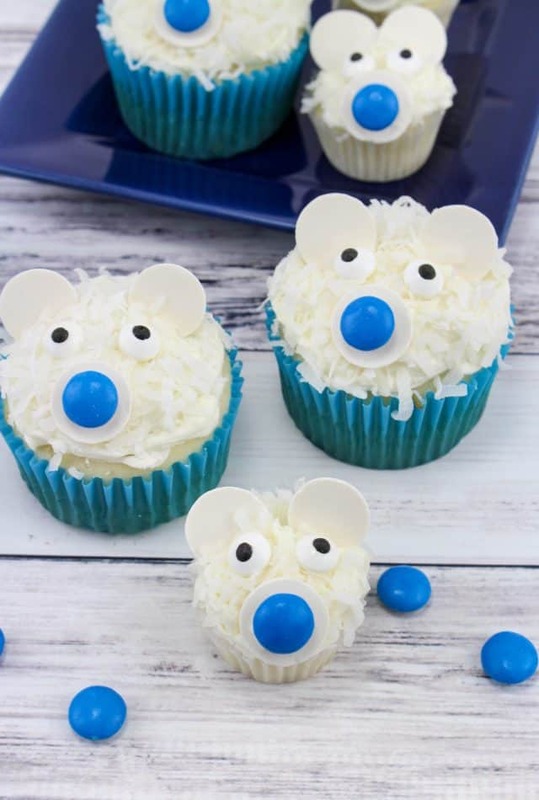 I really do, especially Polar Bear Cupcakes! Aren’t they so cute? Covered in coconut, chocolate wafer ears, and an M and M nose, these cupcakes are super yummy to eat! 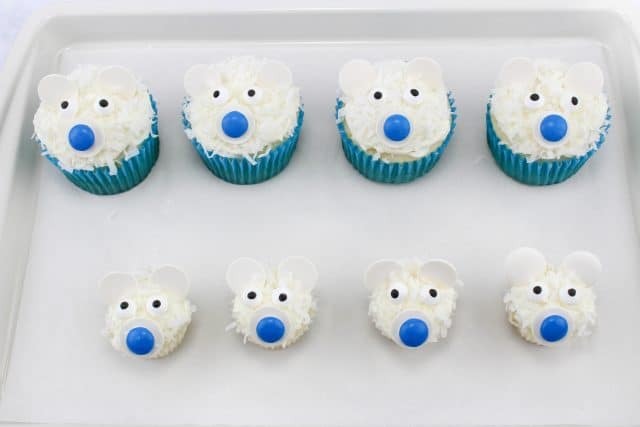 I thought that these cupcakes would make a great treat for a birthday party! 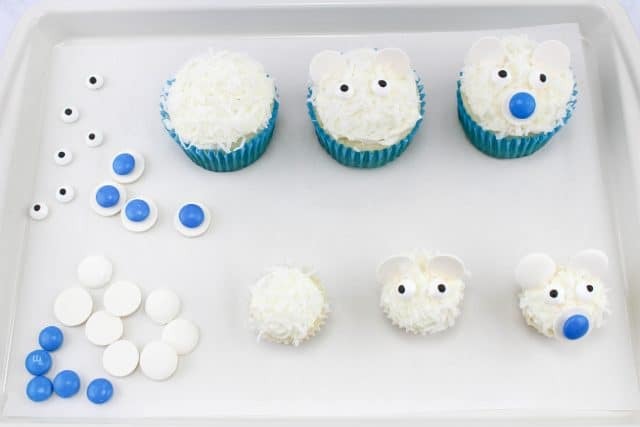 So fun to make with your kids! Can you believe that 2018 is almost over? I can’t! Where did the time go? I really don’t know! I have to say that I had the best year. I love that hubs has retired and that we can travel anytime we like! I also love that I have more time to bake wonderful treats like these! 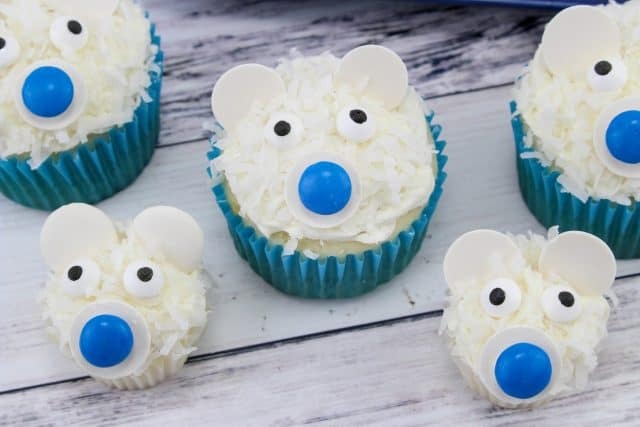 I have so many delicious desserts to share with you starting off with these Polar Bear Cupcakes! 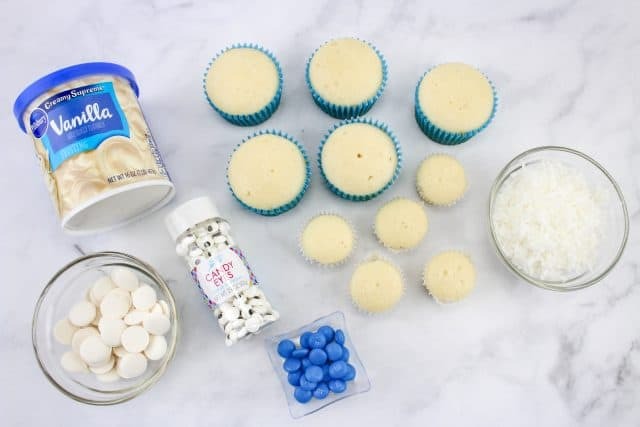 With a piping bag or knife, frost all the cupcakes with the vanilla frosting. Sprinkle the shredded coconut all over the frosting and gently pat down. 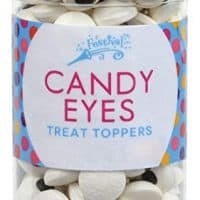 Place 2 chocolate disk towards the back for the ears and 2 candy eyes towards the center. Then add a dab of frosting to a blue M&M and place it on a chocolate disk, this will be the nose. 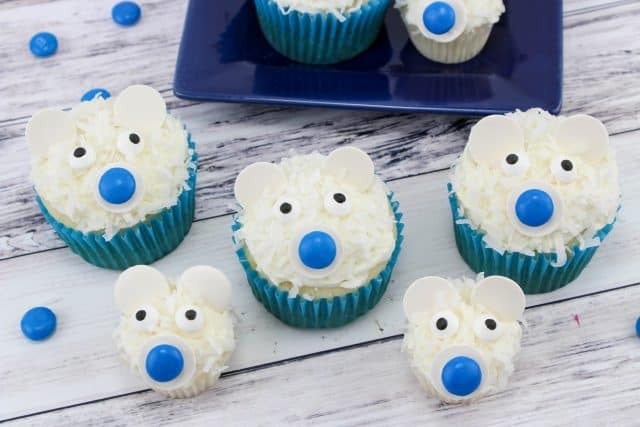 Place the nose on the bottom center of the cupcake. 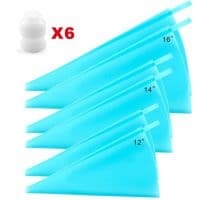 With a piping bag or knife, frost all the cupcakes with the vanilla frosting. 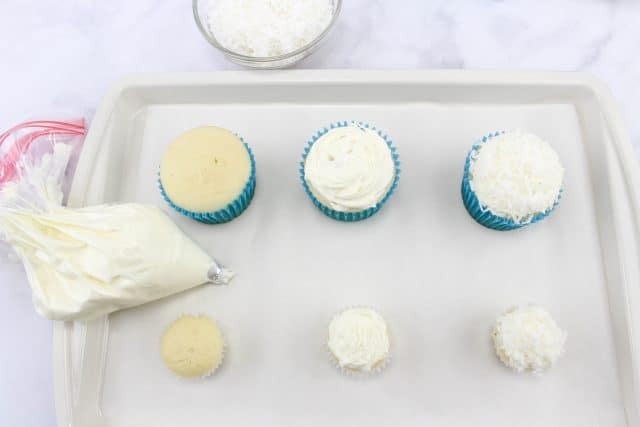 Sprinkle the shredded coconut all over the frosting and gently pat down. They are ready to enjoy!! 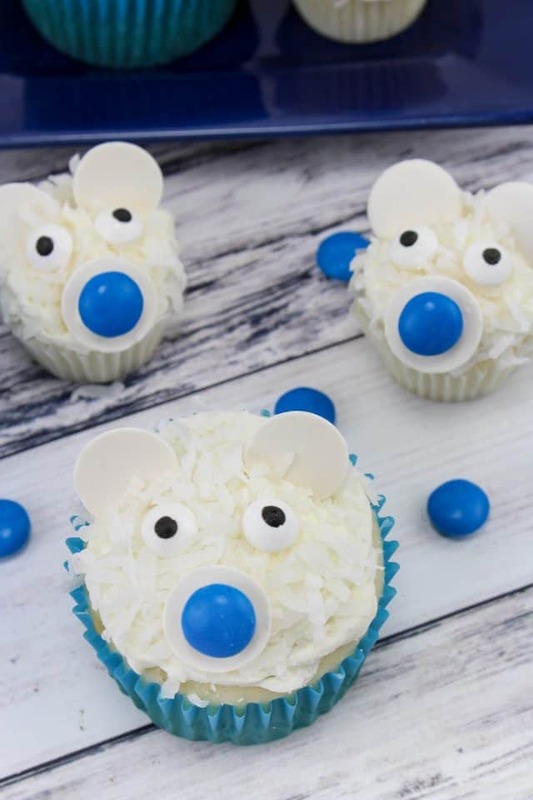 Great for a fun winter treat or to take to a party!